South Lancaster, MA – February 2012 – Sterling Manufacturing Company, which was founded in 1967, occupies a 35,000 square foot building in South Lancaster, MA. The company utilizes 24 injection molding machines up to 550 tons. Sterling Mfg. is a custom injection molder serving OEM customers in communications, medical and industrial end-markets. 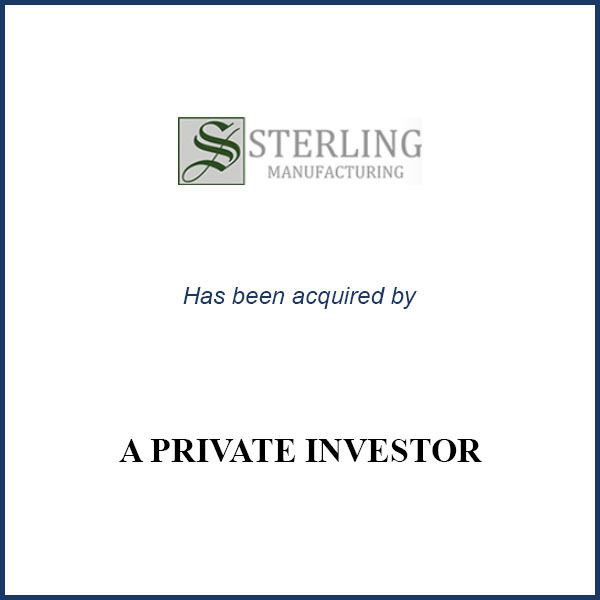 The private investor that acquired Sterling is a molding industry veteran with prior owner/operator experience. He is well known in the plastics community in Leominster. He plans to build on Sterling’s existing business. MBS advised the owners of Sterling Manufacturing Company in connection with its July 2011 sale to a private investor.